The Department briefed the Committee on the Overview of Water Infrastructure Development. The Deputy Minister Ms Pamela Tshwete was present. The Department wanted to respond to the issue of what was done with the R12 million reported in the Annual Report if it only achieved 33%. It stated that the grant dealt with water resource management. The analysis of performance showed that the Department achieved six of its 18 performance targets. During the 2014/15 financial year, the Department requested a rollover of R919 million to implement 41 multiyear projects. One of the impacts of the declined rollover was the completion timeline of projects under construction which had to be revised. Some of the main challenges were a lack of capacity and required skills to operate and maintain infrastructure and most municipalities did not have revenue strategies to deal with cost recovery issues to efficiently maintain and operate its infrastructure. There was also misalignment of financial years between national and local government impacting on planning and implementation. The Committee was very upset about the R12.1 billion, almost 80% of the budget allocated to Programme 3, which the Department was unable to explain. They continuously stated that it was difficult to follow the R12 billion. The Auditor-General was needed to explain this because the information the Department was presenting was not providing any understanding. The Committee was equally upset about R250 million being paid for a desalination plant. It said the Department used the Act when it suited it to take a decision on R250 million for a desalination plant. The Department told the Committee that it followed the correct procedures but the person who got the tender was the person that did refuse removal in that area, so he was definitely not a water expert. He got the contract and imported the plant. If it was built here it would have cost R160 million. The fact was that the Department overpaid R90 million for a plant. This could have been utilised somewhere else. Members expressed their concern at the lack of improvement in the Department having regressed from 48% to 33%, even though guidelines were provided as to how to proceed. It went over budget by almost 1000% regarding the RBIG (Regional Bulk Infrastructure Grant). The number of boreholes reported as functional in the report did not tally with the information the Committee received when in Giyani itself. The Committee stated that the RBIG projects for which millions were paid but where nothing was happening, added to the state of despair of the Committee. The Committee asked the Department to investigate geohydrology. The Committee asked for information about the water situation in schools. The Deputy Minister of Water and Sanitation, Ms Pamela Tshwete, thanked the Committee for the invitation to brief the Committee. The Acting Director General, Mr Sifiso Mkhize, Department of Water & Sanitation firstly expressed heartfelt condolences on behalf of all officials at the death of Mrs Tanya Baker. He said that today the Department would work through the homework that was given to them by the Committee. Ms Zandile Mathe, Deputy Director General, DWS, referred to the issue of what was done with the R12 million reported in the Annual Report as the Department only achieved 33% of its targets. She reminded the Committee that the grant dealt with water resource management. The analysis of performance showed that the Department achieved six of the 18 performance targets. During the 2014/15 financial, year the Department requested a rollover of R919 million to implement 41 multiyear projects. One of the impacts of the declined rollover was the completion timeline of projects under construction which had to be revised. Misalignment of financial years between National and local impacting on planning and implementation. Ms Mathe said that the reprioritisation of funds to address drought showed that the country experienced unprecedented drought levels in the 2016/2017 financial year which necessitated the reprioritisation of funds from ACIP (Accelerated Community Infrastructure Programme) and RBIG (Regional Bulk Infrastructure Grant). The Department also received an amount of R50.6 million as augmentation under unforeseen and unavoidable funds to address the drought. Mr L Basson (DA) said that this report was confusing him even more. He was trying to follow the money spent, the R12.1 billion, and the R11.2 billion left on another project. He tried to calculate using the long report but was unsuccessful. He was equally baffled by the phrase ‘6 of 18 performance targets’ in programme 3. He needed to understand how the Department broke down the 18 because it also spoke of helping 54 municipalities. He thanked the Department for all the explanations, but he still could not follow the money. He still did not know what happened to the R12.1 billion. Ms Mathe said that Mr Basson requested that the Department do a three-page report on this matter. Mr Basson said that the second challenge was that the Department said that there was an accrual in the previous financial year of R1 billion which was paid out of this financial year. When the Committee challenged the budget in May, the Department said nothing about accruals, but said that it was multi-year budgets that had to be paid out. He got the sense that it was accruals which had to be paid in the previous financial year, and the Department did not have the money. It seemed every year there was going to be a knock-on effect because there was a problem with how the Department budgeted and how it spent its money. He could not understand the R12.1 billion and he would not use the Department’s percentages because it was not verified. Therefore, he used the Auditor General’s (AG) percentages, because if the AG was wrong then the Department would have to clarify it with the AG. He wanted to know under programme 3, what happened to the money? Mr Basson said that the Richard’s Bay Project was an emergency project. He asked a written question on Richard’s Bay. 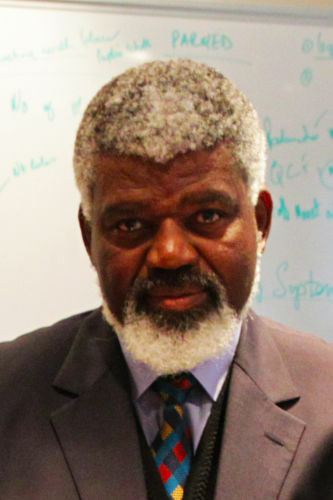 He understood that there was a crisis and he acknowledged it, but regarding procedures, the Department used the Act when it suited it to take a decision on R250 million for a desalination plant. The Department told the Committee that it followed the correct procedures but the person who was awarded the tender was a person who did refuse removal in that area, so it was definitely not a water expert. This person got the contract and imported the plant. The Committee checked every company in South Africa that manufactured these plants and found out that they were not built here. If it was built here, it would have cost R160 million. The fact was that the Department overpaid R90 million for a plant. This could have been utilised somewhere else. This matter was under investigation by the Auditor General. The Department paid R90 million more and he could give a name and address of person who got the contract. Ms Mathe said that she was not able to know enough about this cost. It went through a process with the assistant of supply chain management. She would raise this with supply chain and make further inquiries. She did not know who this person was as the presentation was done and arranged through the supply chain process. Mr Basson said that next week the DA was going to meet with the Western Cape government. There were huge problems in the Western Cape. A factory was going to close in Saldana because there was no water. The Minister was asked for an intervention in the Western Cape in writing and a reply was sent but no action happened. This was an issue to be taken forward next week. But the bigger problems were that he could not find out what happened to the R12.1 billion as he tried to make calculations, but it was not making any sense. Mr P Mnguni (ANC) said that since the Department arrived it never improved, even though it was given some guidelines. In 2016, the Department was at about 48%, now the Department regressed even further to 33%. This could mean that the guidelines given pushed the Department further back. This did not sit well with the Committee. Looking at the figures in the report, whatever the Department planned, it failed to achieve. He noted that on page 16 where the original budget for RBIG (Regional Bulk Infrastructure Grant) was reported on, the Department ended up being almost 1000% above budget. If the project was R140 million, then because of the ‘acceleration’, it went to approximately 900 million. Mr Mnguni noted the issue of boreholes on page 21. When the Committee was in Giyani there were less than the 137 boreholes, stated as completed and operational, that were working. The information in the report and the information the Committee got when in Giyani did not tally. Mr Mnguni asked if the Department had any unit that dealt with geohydrology. He consulted with a geohydrologist who explained the movement of groundwater in the soil and rocks in the earth’s crust. If the Department could do its own work thoroughly it would not have the problem of escalating costs when it came to boreholes. He suggested that the Department meet with a geohydrologist company to explain proper water usage. Ms Mathe said that only one project, which might be in Limpopo, had geohydrology and drilling services. Perhaps it was a good idea to resuscitate this. It was not used for 10 years and was subsequently closed down. When looking at the designs it showed that a geotechnologist and geohydrology was needed to alleviate the water crisis. The Department had a few people in the Department who were experts in geohydrology. Mr Mnguni referred to pages 51, 52 and 53 of the report on North West Drought and Emergency Intervention. He asked for more information about this, and if drought had to be declared what was the situation regarding funding and drought. Ms Mathe said that the information would be available from people who were dealing with drought. The declaration of drought was pronounced by Cabinet. There was drought in more than eight provinces and declarations were made. She said that the money for drought related issues were signed for by the Accounting Officer. She thought that all contracts were signed by the Accounting officer. On the Division of Revenue Act, Mr Mnguni said that he kept on seeing that there was a problem with municipalities. Was the Department saying that those problems were still there because of municipalities? He asked what was found when the initial problem was dealt with. The Department could not keep on saying that municipalities had problems. This was going on for three years now. Mr T Makondo (ANC) said that the AG was needed to explain where the money was because the Department was unable to do so. He said that a forensic investigation was needed so that the Committee could understand what was going on. Ms Mathe said that she was presenting from the perspective of the main account. As it happened, she worked in both accounts, Water Chamber (WC) and City. The Department reported under the Water Chamber. She would find out what was happening in that project and why people were not paid. Mr Mkhize said that with regard to work stoppages at Sedibeng regional school, a written report would be provided. Mr Makondo said that it was difficult to follow the R12 billion allocated to Programme 3. The AG was needed to explain this because the information the Department was presenting was not providing any understanding. It was difficult when one requested information and in response one was given irrelevant information. The Committee needed to know how the money was spent that was allocated to Programme 3. Therefore, the AG was needed to explain what the Department was doing. 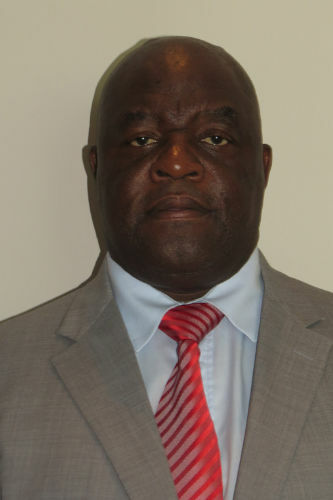 Mr H Chauke (ANC) said that Programme 3 carried almost 80% of the budget but the Department was unable to account for the money spent on this Programme. He asked for more information about water in schools. Ms Mathe said the Department of Education was dealing with water in schools. Mr Chauke asked for more information about the backlog. Ms Mathe said that about R600 million was needed to finish the backlog. She said that this begged the question as to whether the funding model of water infrastructure was the most appropriate one under the circumstances. In terms of the backlog, more information was needed from the planning team and from the municipalities. These discussions were supposed to take place as sector leaders to try to understand what could be done so that the promises made to people that water would be provided could be fulfilled. She said she was as concerned as the Committee because the Department was not touching where it mattered most. There was just not enough money. The need far surpassed the resources that the Department had. The Department was trying their best to reach as many people as they could. Mr Chauke asked about the issue of ‘verification of work’. Ms Mathe said that with the R12 million budget of the Department, it could only appoint four quantity surveyors last year. Big projects were not done without proper verification. The municipalities to whom the money was transferred could not be reached. The Department would like the quantity surveyors to be more involved with verification and certifying. 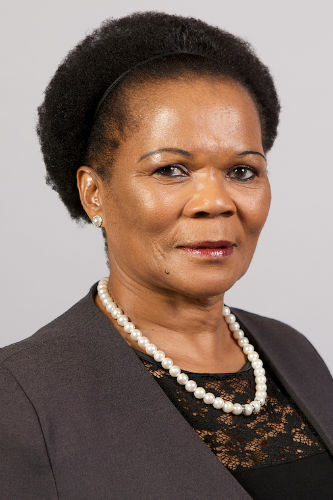 The Chairperson asked the Department to speak about the projects it engaged in that impacted negatively on its budget such as Construction Asset Value and vandalism occurring at projects. The Deputy Minister said that the vandalism at projects might be an inside job, but this would be investigated. Ms Mathe said that answers to some of the questions may not be available right now, such as the question the Chairperson asked about how much was needed as a capital investment. Detailed information was required from the Planning Team. Information about the money required to finish projects would be sent to the Committee. She could only speak about commitments based on the projects the Department had now. In terms of the backlog, more information was needed from the planning team and from the municipalities. The figures that the Chairperson wanted would come from the Master Plan. For the existing infrastructure and the projects, the Department could provide this information such as how much money was needed to finish all the projects that were started. Ms Mathe said that the answers to some of the questions may not be at hand and the Department would have to go back to forward the responses to the Committee in writing. Mr Moho Mofokeng, CFO: Water Trading Entity, DWS, said that the Construction Asset Value was about R630 million. This information was available in the Annual Report on page 379. The Chairperson asked about the dispute with the AG, as it was the first time that he came across something like this. Mr Frans Moatshe, Acting CFO, DWS, said that the Department did not agree with AG’s finding on the main account, assets under construction and the issue of what the AG wanted to disclose as irregularities. The Chairperson asked for advice as to how to proceed given that this meeting was originally supposed to deal with the Budgetary Review and Recommendations Report (BRRR), and there were other presentations which was not delivered. The information was important towards finalising the BRR Report. Overview of the Internal Audit Unit of the Department. The Chairperson said that all the above-mentioned documents were accepted, and Members were asked to read through them. The BRRR would be dealt with next week. The deadline was 7 November, so the Committee still had some leeway.